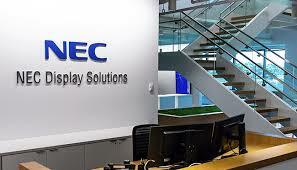 NEC Corporation today introduced a new integrated business solution, the NEC LIVE SERIES, at Infocomm India 2018 at the Bombay Exhibition Centre, Mumbai. During the exhibition, NEC will showcase: LIVE Canvas; LIVE Touch; LIVE Signage; LIVE Play; LIVE Hub and selected models of Projectors. In order to best serve the demanding requirements of many industries, NEC has combined aspects of technical and market analysis to create a range of the world’s best professional displays. LIVE Canvas provides a cutting edge video wall solution that integrates and manipulates multiple sources to deliver live feeds to multiple screens. Versatile, scalable and unrivalled in performance, this is an end-to-end solution that’s customizable to specific customer requirements; be it for a captivating public display or applications where superior image quality is paramount, such as command and control centres and specialist imaging fields. LIVE Commerce provides a comprehensive suite of solutions offering instant digital access to a full product range in any physical store, as well as integration with mobile solutions to produce a digitally integrated shopping experience. LIVE Hub is a professional meeting/collaboration solution that enables multiple connections from different locations to a central host. This facilitates virtual local or international meetings on any scale, thus helping businesses cut down on unnecessary travelling time and costs. LIVE Signage is a full-featured cloud-based content management signage solution that breathes new life and adds unprecedented possibilities to live displays in virtually any location. Excellent audio and visual qualities can turn any display into a magnet that captures attention and engages the audience. LIVE Play is an interactive solution for entertainment and enrichment that’s set to be welcomed by any audience. It brings a brilliant new dimension with vivid colours and high resolution, making gaming and other entertainment even more enjoyable. LIVE Play is also a highly suitable solution for educational and enrichment programs of all kinds. LIVE Touch is built specifically for interactive touch experiences – be it to facilitate discussion, deployed as a manned sales tool or serve as an unmanned digital brochure stand. It is designed to be versatile in its application, allowing it to play a key role in a wide variety of venues and situations. LIVE Space is a professional consultation service that seeks to understand your business, your needs and provide the best solution that not only meets but exceeds your requirements. The outcome is greater efficiency, higher productivity, and a business that’s headed for greater success. InfoComm India is India’s premier exhibition and sharing platform for cutting-edge Professional AudioVisual (Pro-AV) and Integrated Experience Technology solutions. Started in 2013, lnfoComm lndia, the only dedicated trade fair for Pro-AV and lntegrated Experience Technologies in lndia, has connected multiple players offering cutting-edge technologies to record numbers of visitors every year.